1. 64% of high net worth individuals are planning to leave country. 2. These same wealthy individuals are sending their children elsewhere to be educated. 3. Political repression has increased. 4. Corruption in government has increase. 5. The economy is sputtering. economy into a western style free market system. They are long term planners and went through a century of shame ending in the 1940’s wherein they were humiliated by the west. They felt the need to rebuild their military strength and power and were willing to sacrifice the present for the future. They seem to be shifting this focus and redistributing their wealth and opportunity towards the common Chinese citizen. This does not sound like they are committed to communism. The clash he is speaking of is the period from 1840 to 1948 when the West and Japan invaded China and from China's perspective held the country hostage and humiliated it. There were more Chinese massacred in Nanking, China by the Japanese than in the concentration camps in Germany. China's civilization traces back to several hundred years before Christ. Up until the middle of the 19th century the Chinese considered themselves The Middle Kingdom or the center of civilization. They were not interested in taking over other countries because they believed all other cultures were inferior to China. They found out the hard way isolation is dangerous. Technology passed them by with the West defeating China with modern weaponry. The Chinese are long term thinkers and they are a proud people. Legend has it while preparing Richard Nixon for his historic visit to China in 1972, Henry Kissinger mentioned that Chinese Prime Minister Chou En-Lai was an avid student of French history. 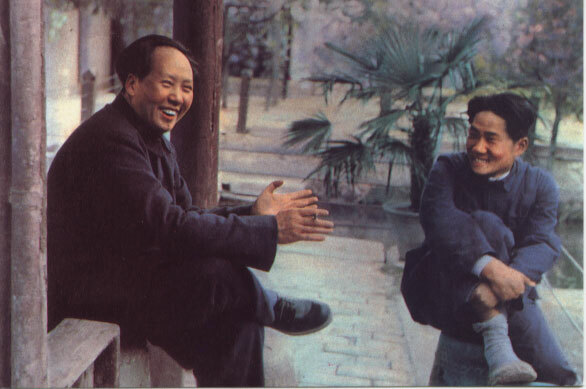 To break the ice, Nixon asked Chou what he thought had been the impact of the French revolution on western civilization. Chou En-Lai considered the question for a few moments. Finally, he turned to Nixon and replied, "The impact of the French revolution on western civilization -- too early to tell." After World War II China recognized they were vulnerable to another humiliating military defeat therefore it was likely Mao's first order of business was to assure there never again would be a "Century of Shame". He could rebuild the country's military might under a centrally controlled government much faster then a messy democracy. I suggest that finally, after over 60 years, China feels that it has built up a strong enough military to turn its attention to helping its ordinary citizens to have a more productive and enjoyable life. If this thinking is correct and if you were one of the the high wealth citizens who benefited from the corruption would not you consider leaving the country. The panel on the radio also mentioned that many of the “intellectuals” are also contemplating leaving the country which would also contribute to the economy slowing down from its recent double digit growth rate to a still high by most standards of 7% per annum. While readers are pondering this issue it is also recognizing that in a few years China will have more college graduates in their workforce than the total workforce in the U.S,.